The main topic was Present and future of digital platforms in regional handball. And the main subject of the discussion was sports data – pre-match, live and post-match data to be specific. As business consultant for Sportsradar Vladimir Jaric stated: “Live content is something that is attracting the biggest amount of fans, starting from statistics, and statements all the way to highlights since it is available on all platforms – mobile phones, tablets, laptops etc“. SEHA League Managing Director Sinisa Ostoic also added the league has clearly progressed a lot on that field but concluded that it does not intend to stop but keep on making big steps forward. Andrey Melnik of VKontakte on the other hand said: “I believe handball can make progress delivering live data not only considering statistics but live pictures and videos since it has clearly proven to attract more fans which is the ultimate goal“. “SEHA should try to learn as much as possible from football – not only considering social network activity but also advertisement in general since that’s something that attracts the biggest, most powerful sponsors. 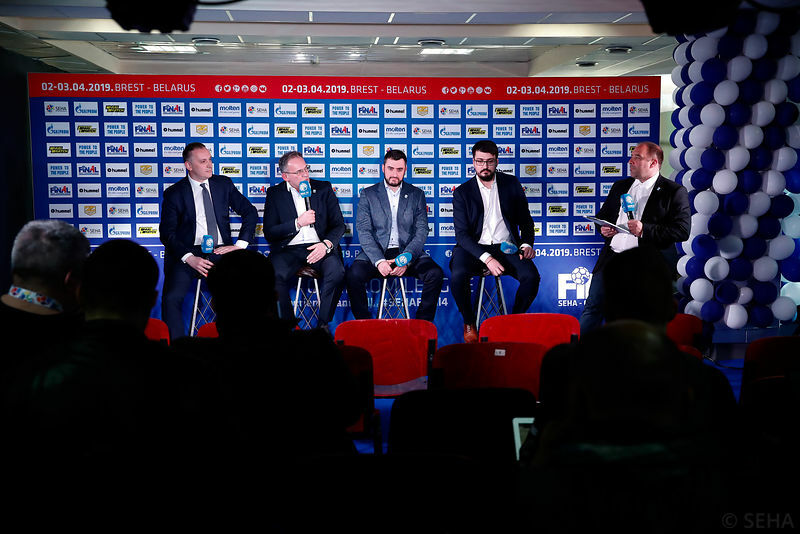 I would love to see betting industry investing more since, as my colleague Vladimir Jaric already said, it serves as some kind of an indicator of how well we’re generally doing in that aspect of the sport“, said Sinisa Ostoic. “SEHA – Gazprom League is some kind of an eco-system. This year we’ve introduced a new official website as well as an official mobile phone app which is great because I believe all parts of the system must develop in order for the entire organization to grow. I feel like SEHA has a good long-term plan but it still has to be upgraded in order for it to progress towards the ultimate goal“, added Boris Sapozhnikov. Andrey Melnik of VKontakty added he sees place for improvement in content League chooses to deliver to its fans on non-matchdays where he feels SEHA should look to sell its product and explain to its fans why it is and should be treated as an individual brand and a strong force in the game of handball because SEHA League is no longer only Vardar or PPD Zagreb but the organization of whole lot of influential clubs and players which are setting the bar higher for everyone in the handball world. “Main goal for SEHA League and its natural intention to gain financial strength is to choose its target, choose its fans and find the right way to gain their intention and find the way towards them on all levels. I know it’s far from easy but that should be the main goal considering this subject. It is clear SEHA is with its influence and knowledge helping all the participants find a place for themselves on global social network platforms“, agreed Boris Sapozhnikov and Vladimir Jaric.